What do these women have in common: Taylor Armstrong, Rihanna, Nicole Brown Simpson, Tina Turner, Farah Fawcett, and maybe even you? If you follow celebrity news, you know the answer, domestic violence, because their relationship problems have been and regarding Taylor Armstrong is currently in the national news. 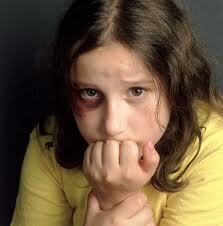 Domestic violence is an evil that does not discriminate; it crosses racial, economic, social and cultural boundaries. they are even being abused. breaker for me in a relationship is verbal, mental, and/or physical abuse. wives also frequently abused their children. (Strauss, Murray A, Gelles, Richard J., and Smith, Christine. 1990.
even fear of being alone. Many abuse victims are being controlled financially, and have been isolated from their family. support for victims of domestic violence. I recently saw the movie Date Night starring Steve Carell and Tina Fey, as Phil and Claire Foster. They like so many other couples who have been married for a number of years have settled into married life with kids. They go to work, come home, have dinner, then off to bed. A wake up call for this couple is when they learn that another couple who they are friends with is in the process of separating because they have grown bored with each other. Afraid they may be going down the same road, the husband, Phil Foster wants a date night where they do something different, in his words, they wanted one night where they felt new. The challenge for every couple that has been married for a significant amount of time is to not take date night for granted. This should be a time when the married couple forgets about everyday life and focus on each other. One rule my husband and I have concerning our date night is that we do not talk about household business/affairs including the kids. During our date night we talk about and focus on each other. The list is endless, the list above are a few suggestions to keep date night interesting. Have fun! My mind drifts to the many thoughts I had: I was thinking do I go to the airport, do I drive to work, or do I stay home? I was so confused. I decided to drive in to work and remember the eerie feeling that loomed over the city; rush hour traffic was moving at a snail’s pace, and it was obvious everyone was intently listening to their radio trying to figure out exactly what was happening. I remember there were no reports of accidents that morning. I remember on this day that every race and every color in America united as one. It did not matter if you were black, white, red, or yellow – what mattered was that America was under attack and a piece of everyone died that day. I remember how polite, how helpful, how nice everyone was in the days and weeks that followed – the pure patriotism and heroism brought me to tears many times. I remember hearing someone say, “these colors don’t run;” I remember thinking we are truly one Nation under God. On 9-11-01, the most important colors were red, white and blue. Now 10 years later, I often wonder what has happened to the oneness. Are we still ONE nation under God? Are you tired, fed up, and frustrated with your marriage? Have you contemplated divorce? What is stopping you? In doing research for this blog, I uncovered the top reasons some people note as their reason for staying in a bad marriage, number one, “I did it for the kids.” The second most popular reason cited was money or finances and the third was fear of the unknown. things, believes all things, hopes all things, endures all things. 1 Corinthians 13:7 says that love endures all things. When is enough simply enough in a bad marriage? And what exactly is a “bad” marriage? The answer depends on the individual and their particular circumstance. Every person has a different threshold for what they can endure. For some people physical, emotional, and/or verbal abuse is a definite deal breaker – for others, they may be able to endure. There are some who can endure chronic and habitual cheating by their spouse, but there are others who pack their bags and leave. There is no golden rule concerning exactly what is a bad marriage and how long one should stay in a bad marriage. There is however a school of thought concerning bad marriages, divorce and how it affects the children that are involved. One study has shown that the children who have the worst time with their parents divorce are those who “never saw it coming.” Those children who witnessed marriages where there was little to no communication, the environment was not hostile or violent, and one or both parents appeared to be at least moderately happy. The same study showed that children who were more accepting of their parent’s divorce were those who on the other hand actually witnessed a hostile environment where there was physical, mental, and/or verbal abuse. These children felt as though the parents being apart made everyone including them happier. Another study examined a number of couples five years after their decision to divorce or work on their marriage and the couple’s level of happiness. The study uncovered that among the spouses who rated themselves as having a really bad marriage – some separated, but of those who chose to work on their marriage, 2 out of 3 reported five years later that their marriage was happy; that 80% of those who said that their marriages were “very unhappy” reported 5 years later that they were happy; and that those who chose to separate were no happier than those who chose to stay together as those who chose to divorce and remarry were no happier than those who chose to stay together. So what does all this mean? I interpret the research results to mean that there is something to be said for couples who chose to stick it out and work on their marriage. This says that there will be ups and downs in a marriage, but with both partners willing to work on the betterment of their marriage that the unhappiness does not last always. Regarding children and how divorce affects them, I’m no expert, but studies have shown that children are very resilient and tend to rebound a lot quicker than adults. And in some situations, staying together for the children can be just as harmful, if not more so, than a divorce. The decision to divorce or stay in a marriage is a highly personal one and I suggest that any couple or individual contemplating divorce seek out counseling before doing so.